Save room for dessert on November 3! 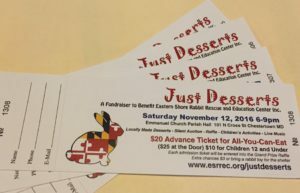 Please join us for ESRREC’s 4th Annual “Just Desserts” Gala!  100% benefits the bunnies of Eastern Shore Rabbit Rescue! Online purchasing is no longer available. 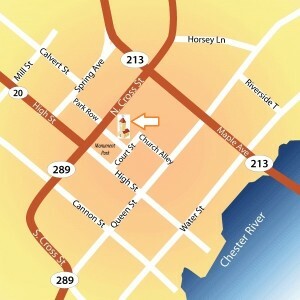 Tickets can be purchased at the door (cash, check, credit card). 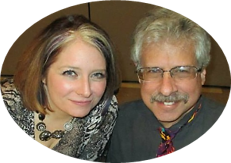 Buntopia – Acoustic blues, rock, country, jazz/bossa nova, reggae – music from the 1930s through 2018! Each admission ticket includes a chance to win the Grand Prize raffle — a $100 gift card from Concord Pet Foods and Supplies! Emmanuel Church is located in the heart of Chestertown, MD. Parking on street or in court parking lot next door.